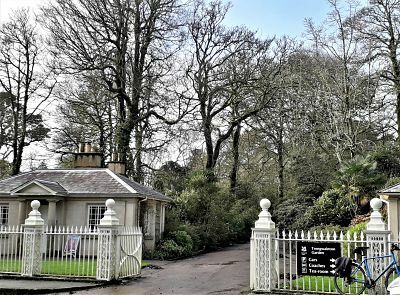 The Three Gardens cycle route is a bike route that includes three great gardens of Penzance, Tremenheere Sculpture Park, Trengwainton Garden and Trewidden Garden, the three varied gardens have sculptures, exotic trees and shrubs. 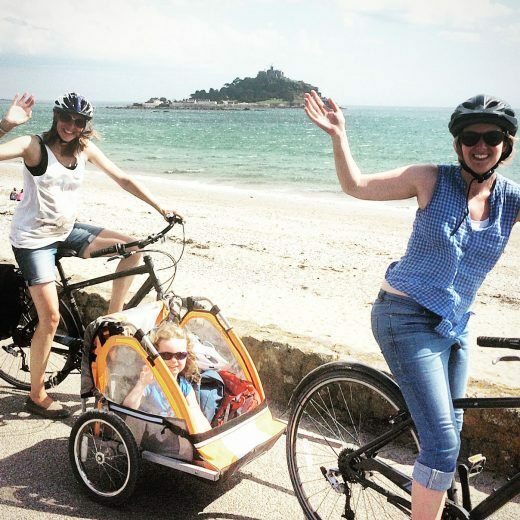 As you leave Lands End Cycle Hire take a right towards Marazion over the railway bridge and through the car park. Jordans Café is there if you need any provisions or a quick drink. Join the National Cycle Route 3 which is also the coastal path to Penzance. Cycle along the coastal path for just over a mile and you will come to a railway crossing on your right. Cross over and continue straight on over the main road, through the industrial estate towards the bridge over the A30. Once on the other side the roads become picturesque with views of the Mount dominating. At the top of the Poniou Lane turn right towards Tremenheere Sculpture Park which is about 0.5mile on your left. Tremenheere’s 22 acres of exotic and sub-tropical garden are set in a sheltered valley. Works including international artists such as James Turrell and David Nash. Recently they have opened an art gallery (free entry) to visit as well as the sculpture garden itself. If you are ready for a bite to eat or just want some refreshment, Tremenheere Kitchen has the best views of The Mount and The Bay, the food is of a high standard. If you are cycling on a Sunday, their roast dinners are one of the best in the area. Leave the Sculpture Park go back up the road you came past Poniou Lane and onto Gulval. Gulval is a small village that overlooks Mounts Bay. 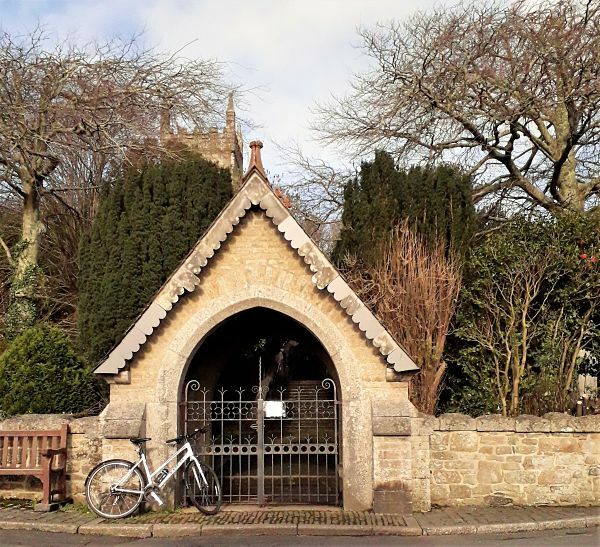 It has Victorian houses and cottages built around the village square. Continue through Gulval and follow the road past the primary school which takes you to a T-junction. (You might want to take a quick snapshot of the Alms Houses at this junction). Take a left down the hill on the B3311, a small and bendy road leading up to Green Hill. After about 1.2miles look out for a sharp left hand bend with a road to the right. There is a signpost directing you to Newmill (2miles) and Zennor (6miles). Take the right hand turn, and be prepared, Polmennor Road is steep for about 0.5mile. This is well worth the effort as you will start to get glimpses of Penzance from above. 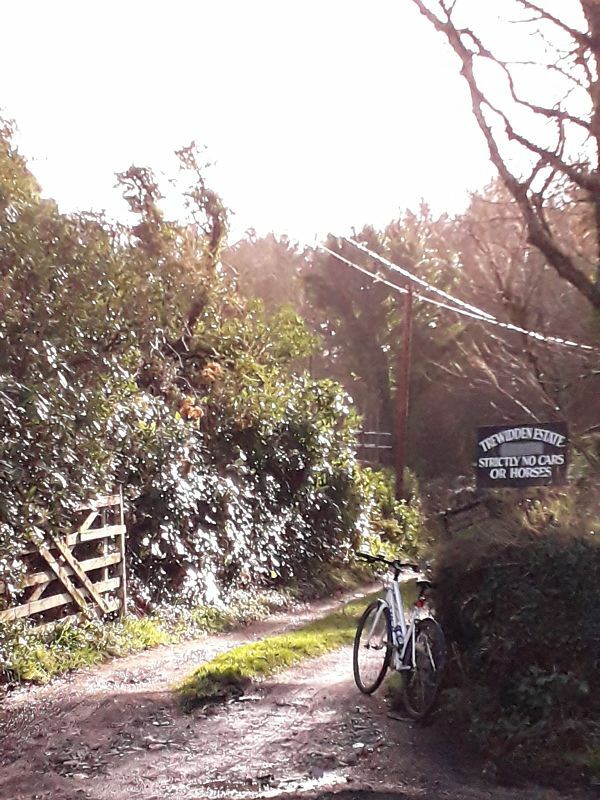 Follow the road for a further 1 mile and you will come to a crossroads, continue onwards past Mounts Bay academy on your left and after about 0.5 mile you will arrive at Trengwainton Garden. Trengwainton is a National Trust Garden which has sheltered gardens with exotic trees and shrubs. They do have tea rooms which are outside the pay barrier in its own walled garden. Continue along Boscathnoe Lane for about a mile and you come to Tremethick Cross. Cross over the road towards Sancreed and take the first left and follow this until you get to Trewidden Garden. One of The Great Gardens of Cornwall, Trewidden is owned by Alverne and Annabel Bolitho. The Bolitho family are one of the largest land owners in West Cornwall. In the grounds there is Trewidden House which is available as a holiday home. The recommended journey back is the way you came. 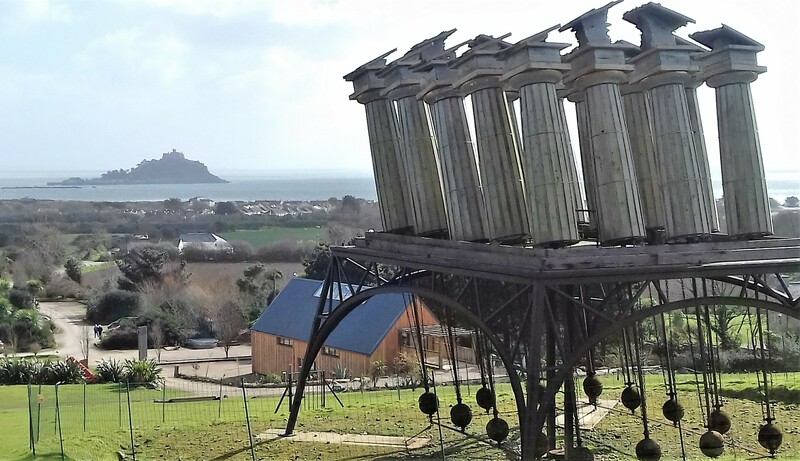 Its well worth returning along the route as you get to see the views across Penzance and Mounts Bay and a lot of the return journey is downhill. Don’t miss the turning on the right after Gulval which takes you back over the bridge to Lands End Cycle Hire.